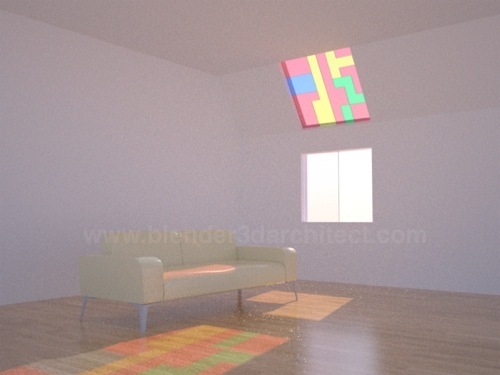 In the past few days I was reviewing some projects created with old versions of Indigo Renderer, to start working on updates and see how fast the last releases are compared with the old freeware Indigo. In one of those projects I saw something that caught my attention, which is the way glass is created in Indigo. I remember that by the time I start to use Indigo, I wasnâ€™t able to create glass. So, how can we create glass in Indigo? Well, first of all we have to follow a simple rule to create glass in Indigo that is all glass objects must have a volume. For instance, we canâ€™t use a plane as a glass object. Always choose objects such as a cube or box. 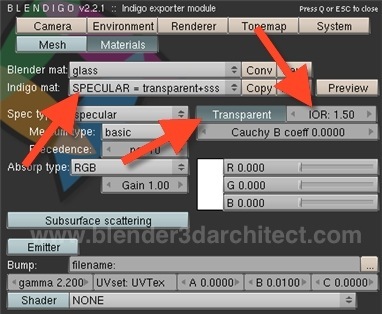 To create a glass material in Blendigo, we have to choose a material type called â€œSPECULAR = transparent+sssâ€, and press the Transparent button. Change the IOR to something close to 1.5 and we will have a nice glass material to be used in windows, doors and others parts of an architectural visualization project that require glass. 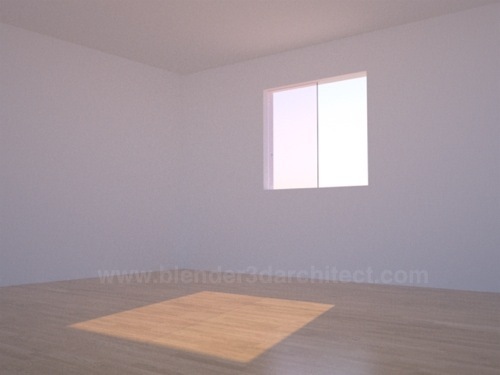 Here is a render test create with a simple window, and a box resized to simulate the glass of a window. If the same scene were rendered with a plane instead of the box, we would have a black plane on the image. What about colored glass? 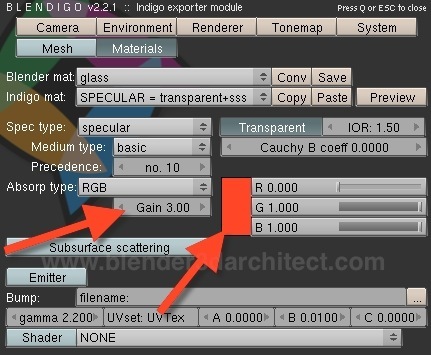 In a previous article I talked about colored glass for YafaRay, and the way we can easily create colored glass in Indigo is by picking a color at the selector pointed in the image below, and changing the Gain factor to more than one. 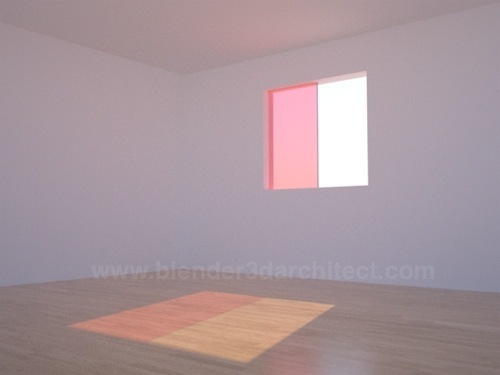 This is the amount of color blended with the glass material. And since itâ€™s all about testing the glass material, I decided to create a colored panel with several types of glass. After a few interactions, we can see that the most annoying objects from unbiased render engines appears; fireflies! To get rid of the fireflies I will have to render the image again and turning on Metropolis sampler. 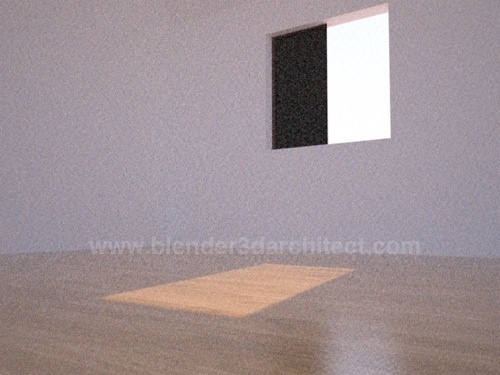 I was turning of Metropolis to speed up the render, but in this case it will be better to test the scene again.